LGBTQ+. You most likely have heard this interesting abbreviation/acronym/initialism once in your lifetime. In use since the 1990s, it stands for Lesbian, Gay, Bisexual and Transgender, the modern term for “the gay community”, which did not accurately represent accurately all those whom it included. We need to understand that back in the 20th century, society was not as accepting as it is now, even when it was merely decades ago. Nowadays, the LGBTQ+ community has grown and has been able to secure the rights of its members in more and more places. As global acceptance for the LGBTQ+ community increases, allies to the community and members have united to honor LGBTQ+ individuals and their beautifully tragic history. This is done every year during June, Pride Month. Many wonder why LGBTQ+ Pride Month is celebrated precisely in June, the reason going back to the late 1960s, the Stonewall Riots. In 1969, a series of spontaneous, violent actions were committed by members of the LGBTQ+ community. These riots happened in Manhattan, New York City, at the Stonewall Inn in the Greenwich Village neighborhood. A police raid earlier that day had been disturbing enough as to defend their rights with violence. The Stonewall riots are widely considered a turning point for the Gay Liberation Movement in the U.S. and the everlasting fight for LGBTQ+ rights in the United States. To commemorate this important event in LGBTQ+ History festivities, such as parades take place. People come prepared; with their original posters, colorful clothing, and even painted faces, to enjoy themselves and be a part of something special. Other celebrations include picnics, parties, workshops, symposia (a conference or meeting to discuss a particular subject) and concerts, amongst others. Even further, June is celebrated with annual month-long observances of LGBTQ+ history and its evolution, along with all history regarding LGBTQ+ rights and civil rights movements. Two very important dates are honored every year by the community because they contribute to the development of the LGBTQ+ community as it is presently, these are: National Coming Out Day (October 11) and the first ‘’March on Washington’’ in 1979. But not all Pride Month is joy and entertainment. Memorials are held during this month to honor those members in the community including those who were victims of hate crimes or who lost the battle to HIV/AIDS. We can’t ignore the fact that although society has become more tolerant, discrimination and abuse towards LGBTQ+ members is still a common occurrence. Every year we are improving as a society, not necessarily changing who we are but changing our perspective on different issues. Nobody should have to hide who they are because of fear of not being accepted, and slowly, we are learning that being yourself is the answer to worldwide progress. The purpose of the commemorative month is not to an excuse to celebrate, but to recognize the impact that lesbian, gay, bisexual, transgender and queer + individuals have had on history all around the world. 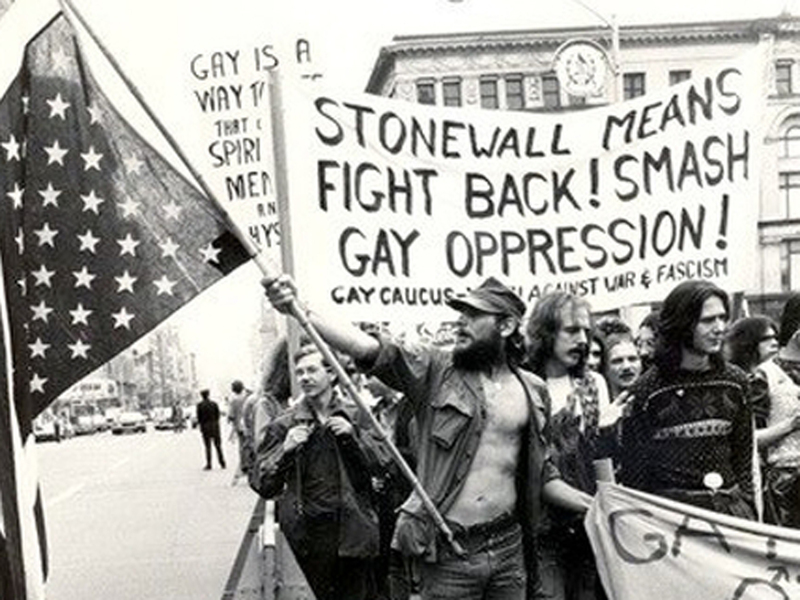 Having June as Pride Month displays the admiration and honor this community has for their history because even if the Stonewall Riots exhibited how close-minded we were back then, they exhibited how a community, uniting together, fought for what they deserved; their rights.